It’s been a while since we last did a sticker campaign, and today our latest and possibly greatest campaign arrived in the mail. For those of you who enjoyed our bootleg Supreme stickers last time, you’ll be glad to know that we’re continuing our theme of paying homage to our favourite brands through stickers. This time we turn to Nike, taking their iconic ’90s “Just Do It” advertising campaign and giving it a TDS spin. These aren’t as limited as our previous batch, with 5,000 stickers having been printed. 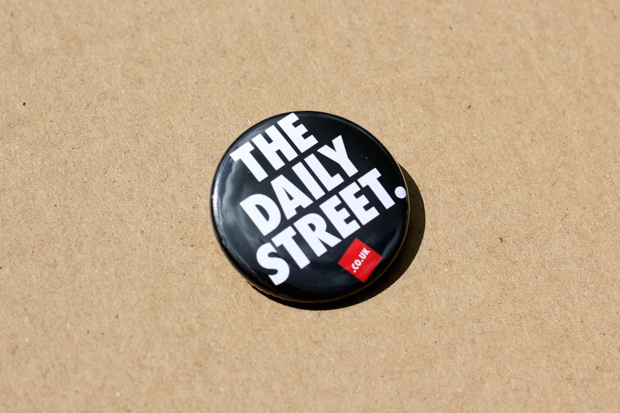 We also decided to venture out of the sticker zone and get some pin badges made up as well. These however are very limited, with only 500 available. 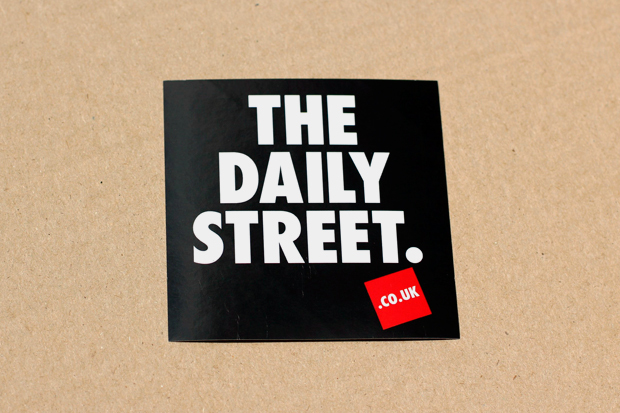 To get you grubby mitts on the new stickers, chuck us an email with your name and address to stickers@thedailystreet.co.uk and we’ll get them in the post to you as soon as we can. Make sure you take a picture and let us know when you get them, either through Facebook or Twitter. On regards to the pin badges, keep your eyes on our Facebook and Twitter pages where we’ll be revealing more details on how to get hold of them soon. 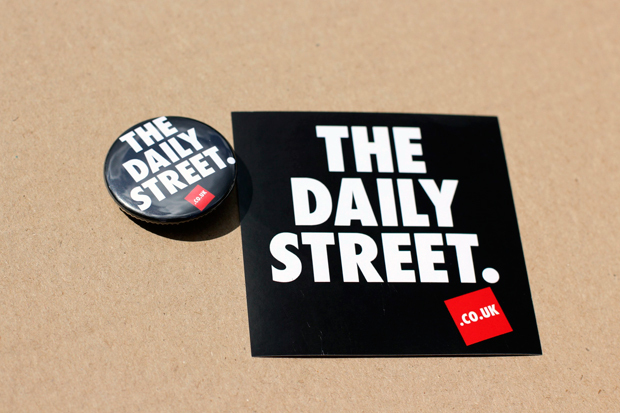 New The Daily Street stickers!